David’s Harp is making a real difference in the lives of youth in the San Diego area. I first saw this non-profit on the Today Show and was so inspired I knew I had to spotlight this organization on ContagiousBlog. David’s Harp mentors youth through a musical platform and empowers them to find their voice and tap into their creative energies. In addition to providing a safe environment to explore, create and grow, David’s Harp also supports students in academic achievement. They offer tutoring to help students maintain their grades in order to participate in the program. Real life mentors look like people who are willing to share their ups and their downs, their successes and their failures, so that young people can really learn from that…here mentorship is 100% the goal and music is just the platform. Sam Lipsyte is the author of the story collections Venus Drive and The Fun Parts and four novels: Hark, The Ask, The Subject Steve, and Home Land, which was a New York Times Notable Book and received the first annual Believer Book Award. He is also the recipient of a Guggenheim fellowship. 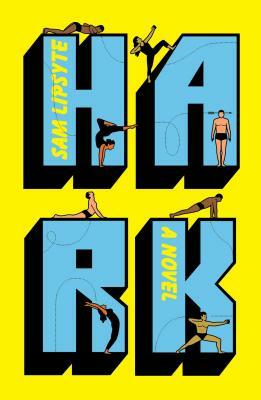 Sam was in the store last week for an event with his newest novel, Hark, which is centered around an unwitting mindfulness guru and the phenomenon he initiates.